Another Friday has come upon us and I can't believe it's not only the end of the week but also near the end of the month! We had a great Australia Day yesterday, roast lamb on the BBQ, yum! Also today marks 3 years since my due date with my first and only child, Elijah. Three years ago today it was so hot and I was SO pregnant, like a whale and desperately wanting my baby boy to arrive. He didn't arrive however until the 6th of February. I can't believe he's almost 3!! I made these cards for a Crazy Crafters swap that I took part in and I decided to embrace a style that I am not very good at and that is SIMPLE! 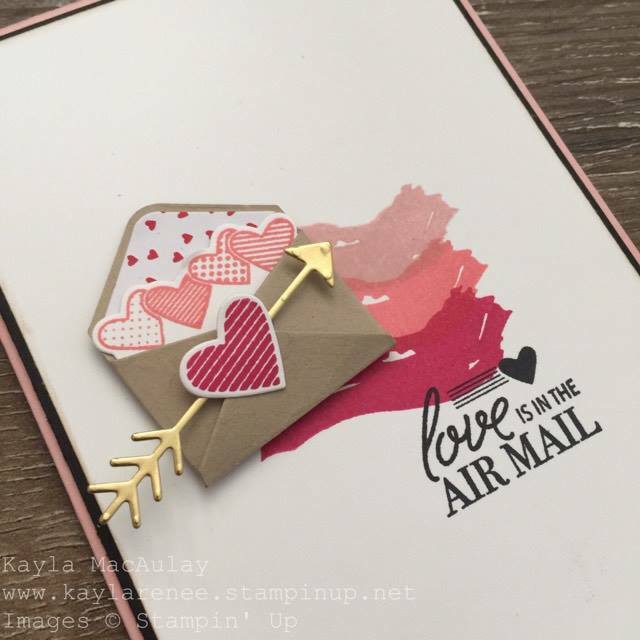 I have kept things very simple with a couple of layers of card stock, some basic stamping and minimal embellishments, but how cute are those tiny little envelopes? I have entered my card this week into the Crazy Crafter Team Project Highlights. I love seeing what all the other talented crafters make each week. I would love you to take the time to go and vote for my card and others if you wish. 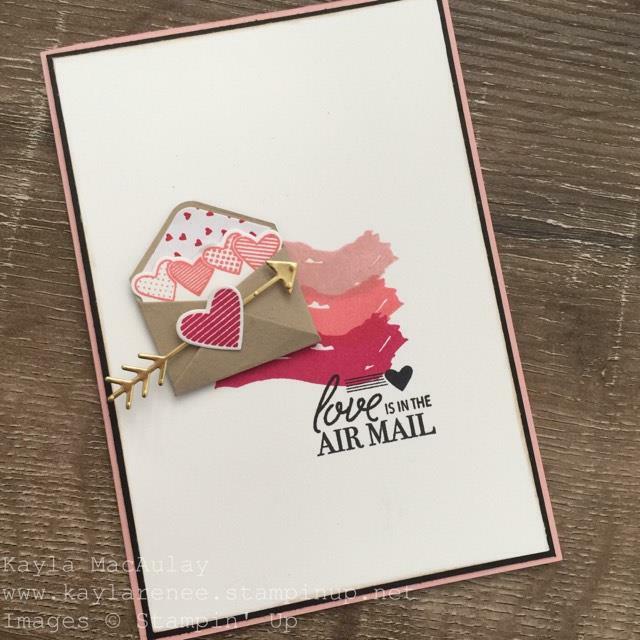 I have used a mixture of Melon Mambo, Flirty Flamingo and Blushing Bride to create me swatch look behind that gorgeous little envelope that you can create using the matching framelits. They are so itty bitty and cute! In exciting Stampin' Up news, there are more Sale-a-Bration items coming on the 21st of February. How exciting is that? All only while supplies last. 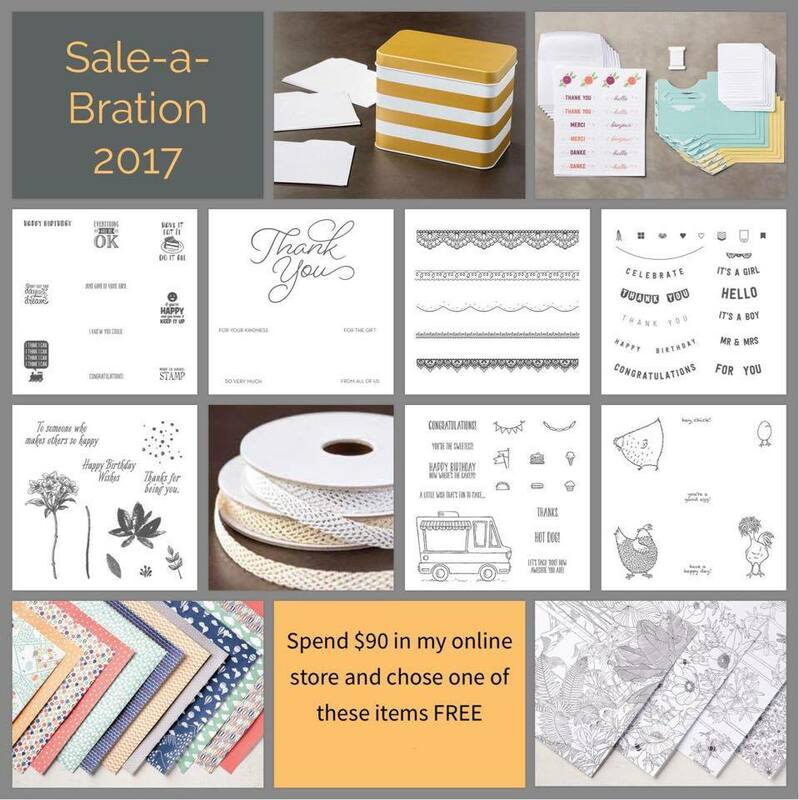 Remember for every $90 you spend you are entitled to one free Sale-a-Bration item. This is what is available right now but there will be more items available on February 21st, all only while stocks last so get what you would like now! The papers are gorgeous and those stamps sets are fabulous. The Hey Chick stamp set has already gone on backorder once, it's been so popular!